Birth Control Effectiveness. What Method Works Best? Birth Control Effectiveness: What Method Works Best? Birth Control Effectiveness: What Methods Work Best? 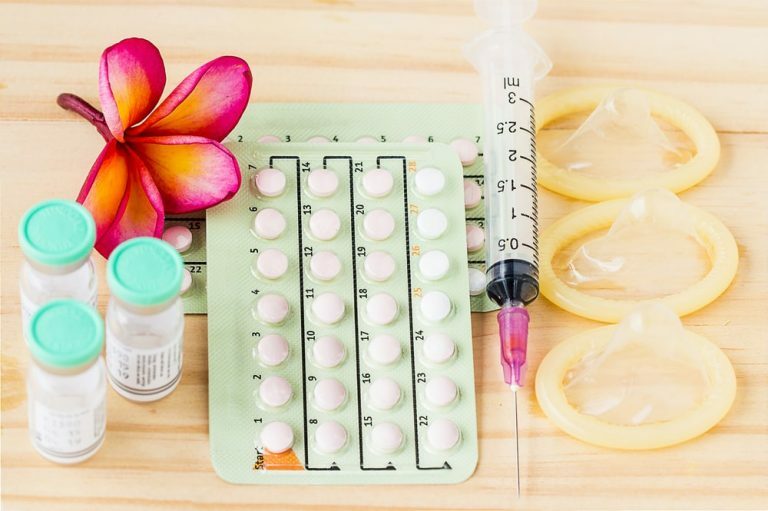 In today’s modern age, many different types of birth control can fit within anyone’s lifestyle, budget, or health needs. Ancient Mesopotamian recordings of spermicides and cervical caps date back as far as 1850 BC. Despite the relatively recent invention of the birth control pill, contraceptive methods have been in use for millennia. For today’s women, they have far more freedom and choice when it comes to choosing an effective birth control method. So, what are the different types of birth control, and how effective are they? How many women use birth control in the U.S.? Birth control methods and products fall into five distinct categories. Each category and method has different effectiveness rates, and also various side effects, or none at all. The most effective methods of birth control are intrauterine devices and also tubal ligations and vasectomies, which are both considered more permanent forms of birth control. IUDs are some of the most effective birth control methods available to date besides sterilization. Sterilization is considered a permanent birth control method, although it is possible to reverse a vasectomy and some types of tubal ligations. IUDs, however, are considered long-term birth control methods but can be removed when a woman wants to get pregnant. Hormonal IUDs last between 3 – 5 years and copper IUDs can last from 3 – 10 years. IUDs have such high effectiveness rates because they are implanted, and do not require consistent user intervention. When it comes to birth control effectiveness rates, they are defined as the percentage of users who will become pregnant within the first 12 months of initiating use. Perfect-use failure rates happen even if a person uses the method consistently and correctly. Even using birth control perfectly can still result in an unintended pregnancy. In 2008, there were 3.4 million unintended pregnancies. 5% of those pregnancies happened despite perfect, consistent use. 41% occurred from inconsistent use, and 54% happened because no method of birth control was used. What is the difference in effectiveness rates with no birth control versus using the withdrawal method? Birth control effectiveness rates are heavily influenced by user intervention. The less a person has to intervene with a particular method directly, the higher the chances are for success, as is the case with products like IUDs and long-term birth control pills. Not using any birth control method or product is about 13% effective. More than half of all unintended pregnancies result from non-use of birth control. The withdrawal, or pull-out method, can be effective at preventing pregnancy if used each and every time correctly. For every 100 women who use the pull out method perfectly each and every time, only four will get pregnant within a year of consistent use. However, human error is the leading cause of birth control failure. Imperfect use consistency rates with the withdrawal method are much less promising. For every 100 women who use the withdrawal method inconsistently, 22 will become pregnant. So, 1 in 5 women will be pregnant within a year if they only use the withdrawal method. The fact is, the withdrawal or pull out method is not as effective as other types of birth control. Plus, it doesn’t protect against STIs either. Although the pull out method is better than using nothing at all to prevent pregnancy, doubling-up with condoms is much more effective at preventing fertilization and also protecting against STIs. Women who use the withdrawal method only should keep emergency contraceptives on-hand just in case, but it’s not a long-term solution. It is safe to use emergency contraceptives more than once, but they have many unpleasant side effects. They can cause nausea and vomiting, breakthrough bleeding, and cause the menstrual cycle to become disrupted. Although IUDs are the most effective form of birth control, some women cannot take them for a variety of reasons or because they are uncomfortable with the idea of using a long-term implanted device. The birth control pill is a much more effective way to prevent unintended pregnancy than the pull out method. Hormonal birth control pills don’t just prevent pregnancy. They can also be used for numerous different health conditions and alleviate painful periods, regulate the menstrual cycle, and prevent heavy bleeding. 70% of birth control pill users take the pill for health reasons in addition to preventing pregnancy. A full 7% of pill users take birth control pills strictly for health reasons. Birth control pills are now more affordable and easier to obtain than ever before. Women do not have to make an appointment with a doctor that can cause them to miss work or put off other important events. Birth control prescriptions can be filled online and delivered. Innovative companies like Pandia Health are leading the way to give women better control over their health and reproductive rights. Contact Pandia Health today to explore your options for safe, affordable birth control.